We all accumulate items throughout our lives. At the end of the year, you may be surprised to find just how much you’ve purchased in the last year alone. Accumulated over a lifetime, your home may become cluttered in no time. To combat this problem, it’s important to clear out clutter in the new year. We’ve provided some tips to help get you started. Consider where you will begin, make sure you have adequate supplies, and take a quick look at Pinterest or online forums for unique organization ideas that work for your home. Most people find it easiest to begin by getting rid of trash. 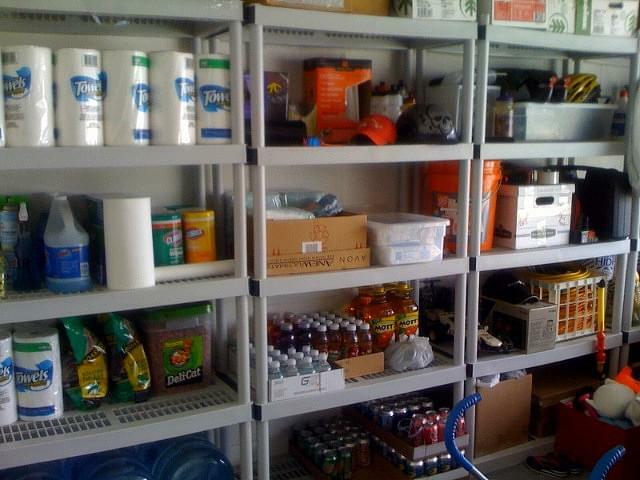 This will instantly clear up space and help you quickly sort through items that can be kept, donated, or sold. Break down your home into small, realistic goals. You don’t need to clean your entire home in one day, so take your time. Set goals for when each area of your home should be organized and cleaned out. If you have particular problem areas, start there. It’s never easy to let go of possessions that you’ve spent your hard-earned money on, but this is the only way to clear out your home. If you are having separation anxiety, simply store the items in your storage unit for the time being. You can always remove them from storage later, when you need them. Look for old toys, unwanted books, clothing you no longer wear, items hidden in the garage or under the bed, and anything else you have forgotten about or never used in the last year. You may also be able to sell your unwanted items to make some extra cash, or you can donate them and put them to good use for someone else. The last thing you want is to clean out your home only to find you have a disorganized home again the following month. Make a plan for keeping your home free and clear of clutter. The best way to do this is to learn to live with fewer things, so there is always room for the things you love most. You may also want to invest in storage bins, containers, labels, and a larger storage unit to help keep your home free of clutter. Your home may have hidden storage solutions you never realized. For instance, you may want to add floating shelves for instant space in any room, or slide containers under the bed for instant space. When all else fails, remember that your storage unit is only a short drive away. You can add and remove items anytime, so you never need to run out of space or part with valued items again. Organizing your home can save you time, save you money, and provide you with more space. Contact Value Store It to reserve your personal storage unit so that you can start clearing out items right away and begin the new year with a clean, organized home.